The winter of Harbin is quite cold with an average temperature of -20o C to -30o C in January. 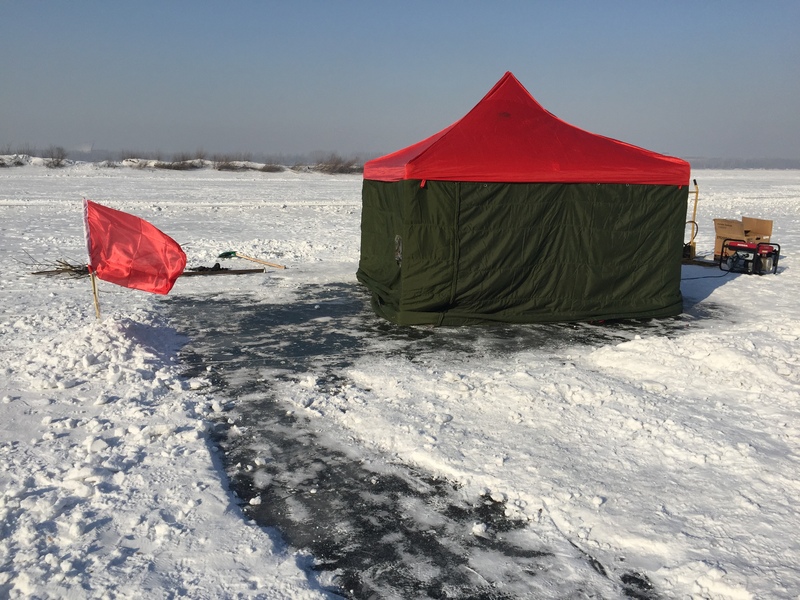 An under ice acoustic communication experiment was done in Songhua River, Harbin, China in January 2015. The Songhua River is a river in Northeast China, and is the largest tributary of the Heilong River, flowing about 1,434 kilometers from Changbai Mountains through Jilin and Heilongjiang provinces. 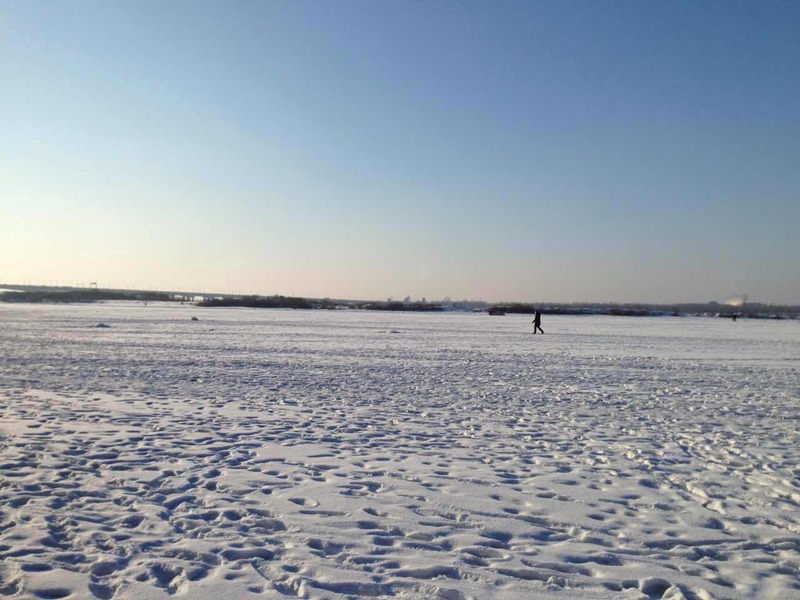 In winter conditions, the Songhua River is covered with about 0.5m thick ice, which provides a natural environment for under ice acoustic experiments. Minus 20~30 degrees work environment brings a great challenge to the under ice experimental. One of our initial concerns was the issue of quickly building temporary experimental base in cold conditions. The experimental base of the transmitter is located in a wharf that provides enough power source and heat. Figure 2 shows the temporary experimental base for the receiver, which can easily be assembled by four people in roughly 5 minutes. Figure 3 shows the inside of the experimental base. Insulation blankets and plastic plates were placed on the ice to avoid prolonged contact for both the experimenters and instruments, as most of the instruments won’t function in conditions of minus 20 degrees. 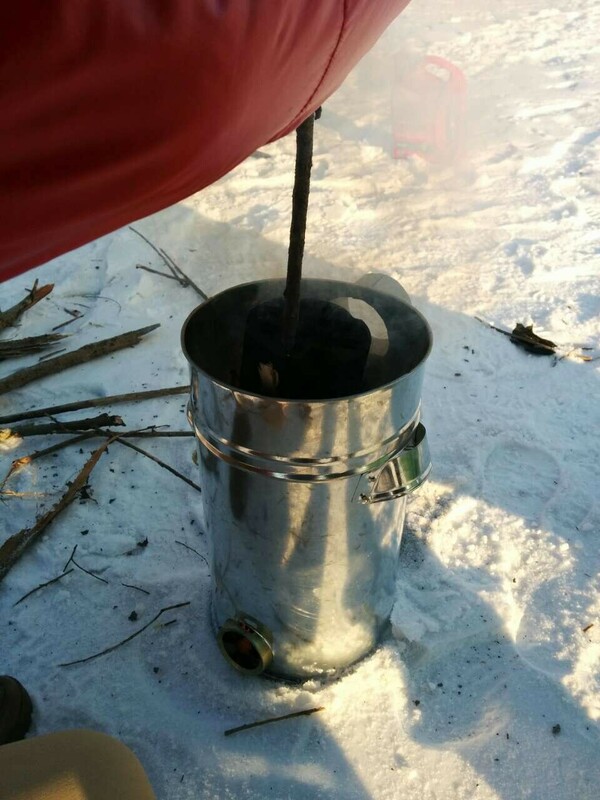 Our second issue was to make sure that all of them worked at the right temperature when receiving signals – we found burning briquettes for heating was a good solution, as this can keep the temperature of the inside experimental base above zero degrees (see Figure 4). The under ice channel is quite stable. Figure 5 gives the measured under the ice channel based on real data. Figure 6 shows the CIR of the under ice channel at different depths, and it can be seen that the channels closer to the ice are simpler. 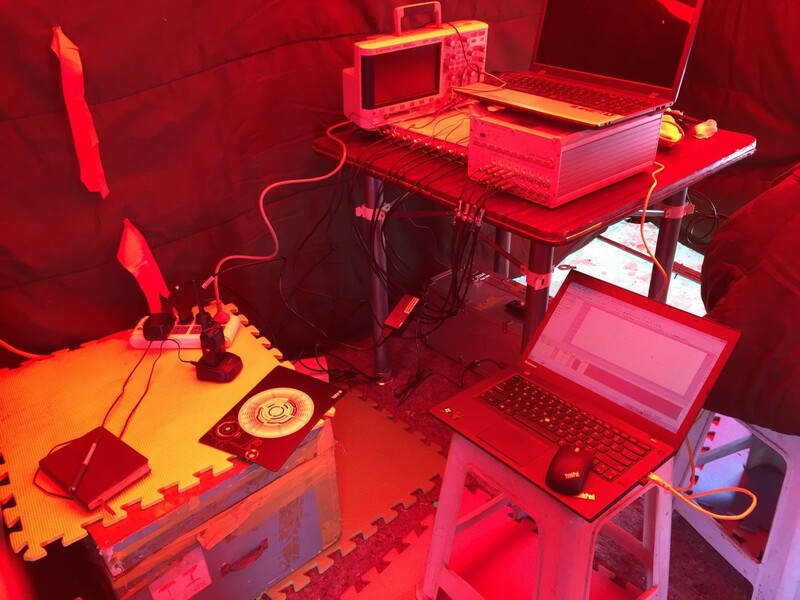 A series of underwater acoustic communication tests including spread spectrum, OFDM, Pattern Time Delay Shift Coding (PDS) and CDMA have been achieved. All of the under ice acoustic communication tests achieved low bit error rate communication at 1km range with different received depth. 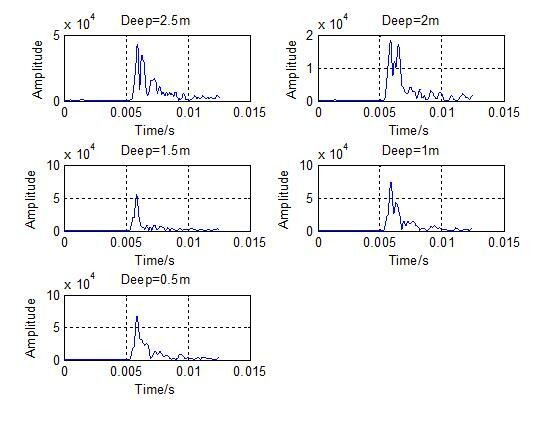 Under ice CDMA multiuser acoustic communication shows that as many as 12 users can be supported simultaneously with as few as five receivers in under ice channels, using the time reversal mirror combined with the differential correlation detectors.